Patients who struggle with mesothelioma have the burden of treatment and bear the burden of being victimized by the asbestos industry. New documents have come to light revealing that manufacturers of products containing asbestos knew about the potential health risks to workers, and either failed to warn their employees or actively worked to suppress the information in order to keep on using the deadly material. 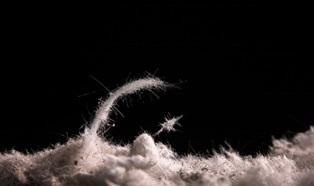 In addition to years of independent research confirming the link between cancer and asbestos exposure, an investigation has revealed that several companies were fully aware of the risks and continued to profit at their employees’ expense. Internal memos and company records dating back to the 1930s and as recent as 2001 were instrumental in convincing juries to award compensation to employees diagnosed with mesothelioma. Several papers dating back to 1934 from major asbestos firms Johns-Manville and Raybestos-Manhattan outline strategies to suppress information about the potential for asbestos to harm workers, including noting that senior executives were permitted to remove references to asbestos-caused disease in research studies. Documents also showed that Johns-Manville had internal policies of not telling its employees that their physical examinations showed signs of asbestosis well into the 1970s. A memo from an executive shows a staggering disregard for employee’s lives by the heating and building company Honeywell (formerly called the Bendix Corporation). “My answer to the problem is,” director of purchases E.A. Martin wrote to a colleague at the Johns-Manville Co. in 1966, “if you have enjoyed a good life while working with asbestos products why not die from it.” Honeywell continues this attitude in the form of contributing nearly $250,000 to back legislation that would deny compensation to workers affected by mesothelioma and other asbestos-related diseases. A paper trail unearthed at the Ford Motor Company suggests that executives would rather spend millions to deny risks than pennies on the public good. In a 1971 memo, company heads argued that switching from asbestos brakes would be far too costly—amounting to $1.25 per car. When the consequences of asbestos exposure came back to haunt Ford in 2001, the company hired two consulting firms—a cost of over $40 million—to fight the mounting lawsuits brought by former auto workers who suffered mesothelioma due to asbestos-laced brakes. When companies knowingly put their workers at risk, they can and should be held liable for the costs of medical treatment, pain and suffering, and punitive damages. The attorneys at Neblett, Beard & Arsenault work on a contingency fee basis, allowing mesothelioma victims and their families to get the justice they deserve and pay no fees until their case is won. Please contact us online or call us directly at 318.588.6303 for a free consultation. To learn more about options, order our free eBook, Mesothelioma and Your Legal Rights. How Much Can I Receive in a Mesothelioma Case?